Just off the Historic Downtown Pedestrian Mall, 200 South Street Inn is near some of Virginia’s finest dining, shopping and entertainment(see our website for more information). The Inn, which opened in 1986, is located in 2 meticulously restored 19th century buildings. The inn is filled with period architectural details, oriental rugs, and beautiful French, Belgian, and English antiques. Each morning our guests enjoy a continental breakfast featuring homemade baked goods and granola, fresh toasting breads from Albemarle Bakery, yogurt, a variety of juices including orange juice that is squeezed daily and coffee that is roasted locally by Shenandoah Joes. Oatmeal chocolate cookies are a staple on our Front Desk around the clock! Relax with gourmet cheeses and wine from 5pm-6:30pm every afternoon in our library. All of our rooms feature private baths, cable television (70 channels), complimentary Wi-Fi internet and parking, and individually controlled heating and air conditioning. We are located just 1 mile from the University of Virginia and UVA Hospital, 4 miles to Thomas Jefferson’s home,Monticello, and 2 blocks from Charlottesville’s famous downtown pedestrian mall. The Historical Pedestrian Mall contains a plethora of restaurants, art galleries, boutiques, coffee shops, and musical venues. Stay 2 consecutive nights at The Oaks Victorian Inn and receive a pair of wine tasting passes for two of our favorite local wineries, Whitebarrel Winery in Christiansburg and Beliveau Estate Winery in Blacksburg. Both offer many award winning whites and reds for wine lovers to sample while relaxing in their beautiful vineyard and Whitebarrel has recently begun to offer fruit wines. Don’t forget to check winery website for hours of operation! Stay 2 consecutive nights at The Oaks Victorian Inn at full price and receive a 3rd night at half price. This offer is good Sunday thru Thursday (Friday and Saturday nights excluded). Your host, Bernie, will deduct $20 off your final bill when you stay both Saturday and Sunday night at The Oaks Victorian Inn. B&Bs are the “Better Way To Stay” and once you stay at The Oaks Victorian Inn you’ll say “Never Better”! 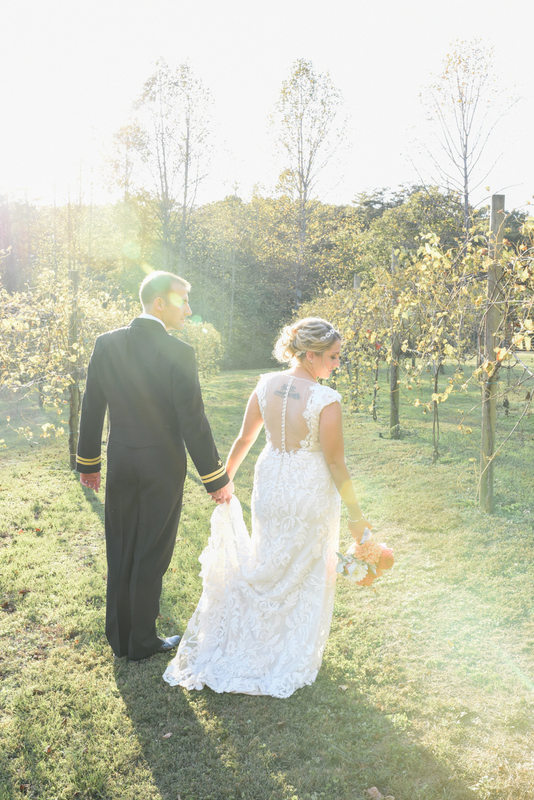 Escape to Virginia Wine Country for an intimate and affordable elopement! Guest room must be booked to take advantage of this package. Elopements are generally held Sundays - Thursdays, early afternoon; Friday and Saturday depending upon availability of officiant. Elopement is designed for just the two of you; outside guests gladly considered if they all stay at the B&B, no more than 8 (2 per guestroom). No outside catering or vendors permitted other than what is provided in our package.